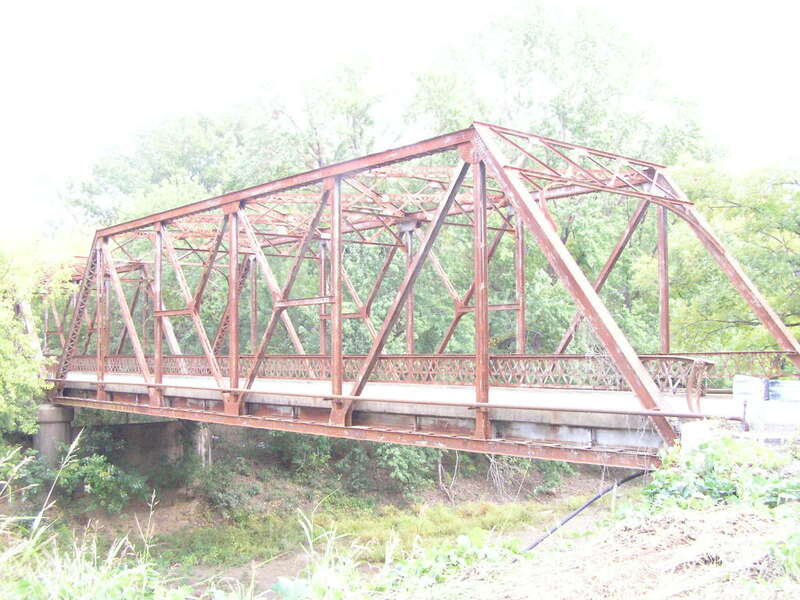 Built in 1929, these two modified Pratt through truss spans were once apart of a busy US highway route connecting Tulsa to Muskogee. Above, view looking through the bridge. 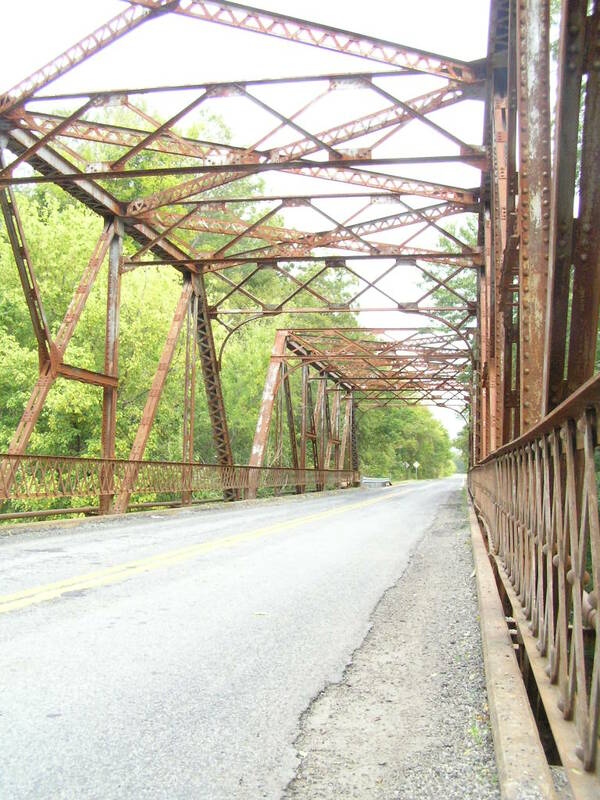 These two spans stand in great unaltered condition and are in much better shape than their identical twins still doing service on US 64 only a few miles from here. Each span is 100 feet in length. Below, a view of one of the spans from the side. 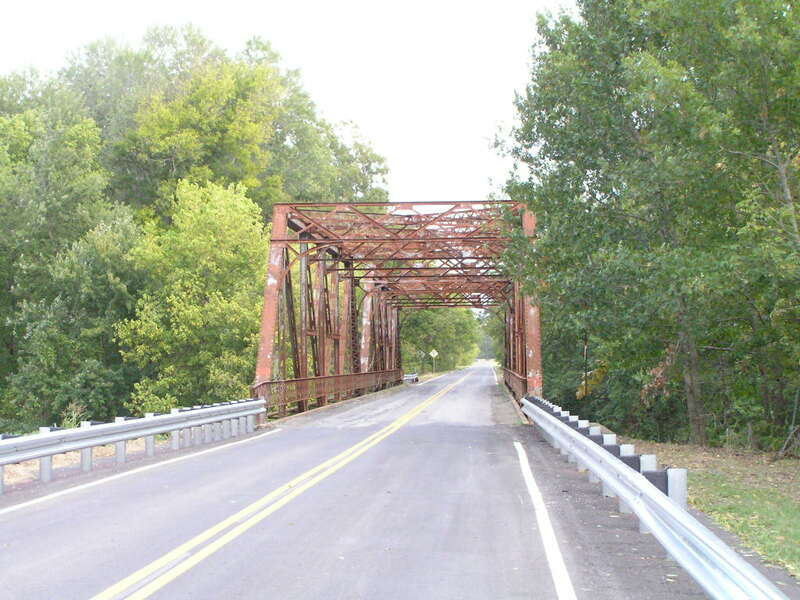 The modified Pratt style truss was first used around 1921, and was built in great numbers from 1921-1931, years which correspond with rapid growth in both highways and automobile size. Above, close view of portal and truss. 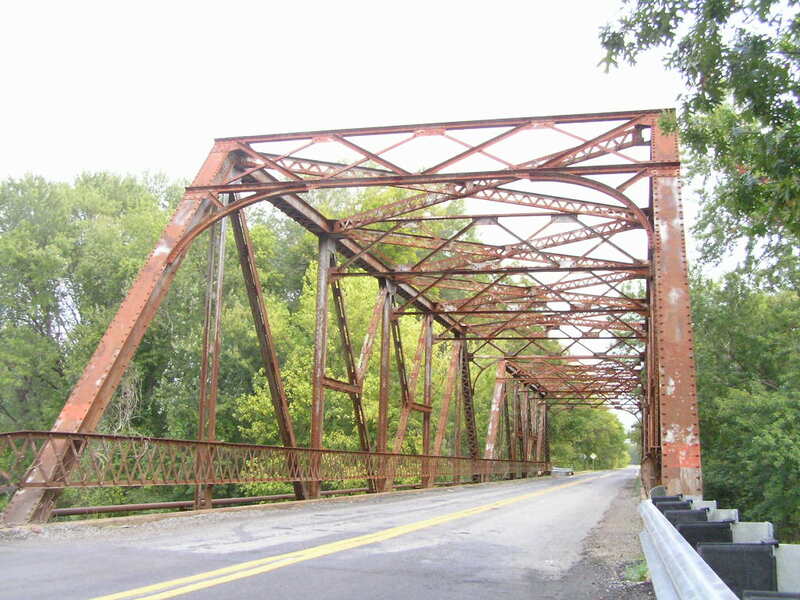 The curved kneebraces were a popular detail in the better built bridges especially highways. Below, another through view. Extensive use of plates and angles is made in building up the web members and sway-bracing.